The Arkansas Supreme Court denied leave for appeal on Feb. 22 in CV-18-4, Denise Oldenberg McCormick MD v. Arkansas State Medical Board. In cv-16-458, Robert Duran v. Southwest Arkansas Electric Cooperative Corp., et al, Duran, an independent contractor, sent a notice of appeal to the Arkansas Supreme Court. The North Dakota Supreme Court will hear the case, C.T. Marhula v. City of Grand Forks, on March 1. In SC18-137, James S. Lavold Inc. v. Oracle Elevator Company, James S. Lavold Inc., a licensed general contractor, sent a notice of appeal to the Florida Supreme Court. In SC18-203, Ekaterini Alexopoulos and Ekaterini Alexopoulos v. Gordon Hargrove and James PA, et al, Ekaterini and Konstantinos Alexopoulos sent a notice of appeal to the Florida Supreme Court. In SC18-223, Maria De Brito, et al v. Deutsche Bank National Trust Company, De Brito et al sent a notice of appeal to the Florida Supreme Court. In SC18-251, Heather Irimi v. R.J. Reynolds Tobacco Co., et. at, Irimi, the personal representative of the estate of Dale Moyer, sent a notice of appeal to the Florida Supreme Court. In SC18-292, State Farm Florida Insurance Company v. Phillip Landers, State Farm Florida Insurance Company sent a notice of appeal to the Florida Supreme Court. In 2018-0289, Electronics Recycling Services Inc., et al. v. Kristen Wittenbrook, Electronics Recycling Services Inc. et al sent a notice of appeal to the Ohio Supreme Court. In 2018-0290, Ronnie Harris, et al. vs. Bridgestone Americas Tire Operations LLC, Harris sent a notice of appeal to the Ohio Supreme Court. In 2018-0294, Pamela Akerstrom vs. 635 W. Lakeside Ltd., et al, Akerstrom, a condominium unit owner, sent a notice of appeal to the Ohio Supreme Court. In 2018-0295, City of Willoughby vs. Sharon W. Seaton, the City of Willoughby sent a notice of appeal to the Ohio Supreme Court. In 2018-0307, Golf Village North LLC, et al. vs. The City of Powell, Ohio, et al., Golf Village North, residential hotel developers, sent a notice of appeal to the Ohio Supreme Court. 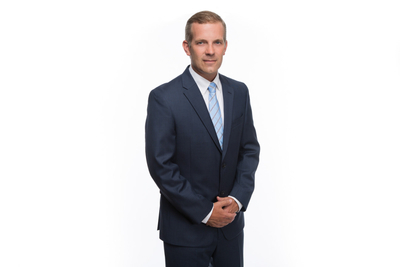 In 2018-0291, Bilbaran Farm Inc. vs. Sandusky Street Investments LLC, Bilbaran Farm, a property owner, sent a notice of appeal to the Ohio Supreme Court. Appeal requested in case of Sasikala Vemulapalli, et al. The Massachusetts Supreme Court will hear the case of Chelsea Collaborative Inc., MassVote and Rafael Sanchez vs. William Francis Galvin at 9 a.m. on March 6. The Massachusetts Supreme Court will hear the case of 1A Auto Inc. and 126 Self Storage Inc. vs. Michael Sullivan at 9 a.m. on March 6. 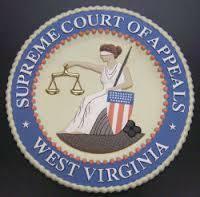 The West Virginia Supreme Court of Appeals will hear the case of Nationwide Life Insurance Company vs. Eva Compton, Kayla Denise Compton, Betty Holleman, Linda Rasnake and The Estate of Robert L. Adams at 10 a.m. on March 7. The West Virginia Supreme Court of Appeals will hear the case of Kenneth Baker vs. Centre Foundation Machine Company at 10 a.m. on April 4. The Delaware Supreme Court will hear the case of Peter R. Hall vs. Maritek Corporation, Michael J. Geoffrey Fulton and David H. Young at 10 a.m. on March 7.